“Immediately we felt something really special,” Romanovsky says. “I felt my ease with him as a musician, but more than that it was him as a person.” They got together a second time in December, again in Costa Rica, when they continued their discussions of music and life and collaborated on Prokofiev’s Piano Concerto No. 2, a piece they’ll reprise in Costa Mesa. Born in 1984, Romanovsky revealed his talents early and has a remarkable blurb in his official biography because of it. The legendary conductor Carlo Maria Giulini (1914-2005) called him “extraordinarily gifted” after hearing Romanovsky play when he was 14. 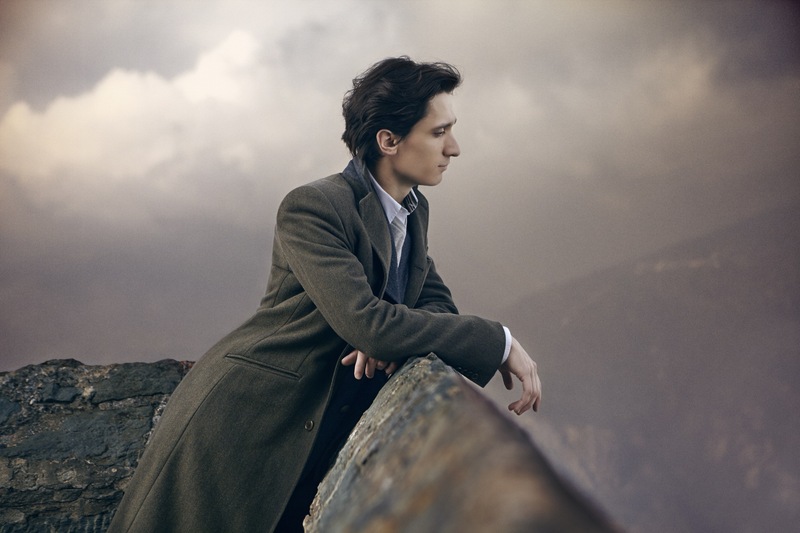 Romanovsky had moved to Italy when he was 13, following his teacher, Leonid Margarius, to study with him at the Imola Piano Academy. He later studied a the Royal College of Music in London with Dmitry Alexeev, earning an artist diploma. At age 17, he won first prize at the prestigious Ferruccio Busoni International Competition in Italy, joining such luminaries as Martha Argerich, Garrick Ohlsson, Ursula Oppens and Louis Lortie. Since 2007, he has made four recordings for Decca, including most recently in 2017, “Childhood Memories,” a collection of shorter works by Liszt, Chopin, Rachmaninoff and others. Romanovsky estimates that he plays between 60 and 70 concerts a year, mostly in Europe and Asia. 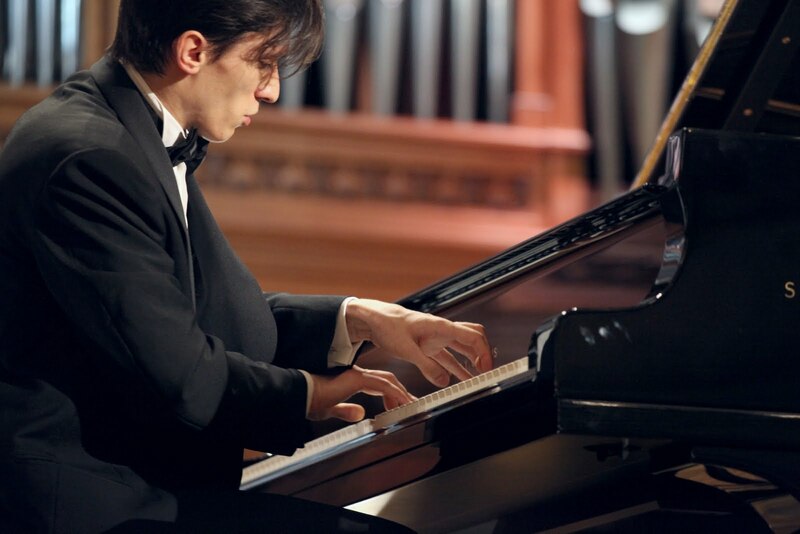 Since 2014, he has also been artistic director of the Vladimir Krainev Moscow International Piano Competition, “a huge competition for young pianists” that he won when he was 11 years old. Another of his concerns is social inequality, and how it relates to the competition. For some, he says, the expense of traveling to Moscow to participate in the competition is no problem at all. For others, though, it can be a barrier to compete. Paying the expenses of hundreds of competitors to come to Moscow proved too onerous, so Romanovsky has instituted a small, traveling jury, to audition young pianists where they live. So far they have been to Tokyo, to Beijing, to Korea, Switzerland and Armenia, as well as different cities in Russia. He plans to extend these auditions even further, including into the U.S.
Romanovsky is the kind of pianist who seems fearless in the face of gigantic musical challenges such as Prokofiev’s Piano Concerto No. 2, often considered the most difficult in the repertoire. He agrees that it’s hard to play, in some ways, but at the same time is well written for the keyboard — eminently doable, in other words. One of the highlights of the piece is a massive first movement cadenza that takes over the proceedings some six minutes in. Prokofiev marks the climax of the cadenza “Colossal.” It’s not a cadenza for the easily intimidated. The pianist realizes that any day he plays this Prokofiev concerto he has to pace himself, and peak at the performance. An afternoon nap is definitely a must, he says. It puts him in optimum shape for the challenge. This entry was posted in classical music, feature and tagged Alexander Romanovsky, interview, piano concerto, Prokofiev by pacificsymphony. Bookmark the permalink. Was privileged to hear and see this amazing artist last night at pacific symphony dress rehearsal. Look forward to tonight’s performance! I heard him tonight, Sharon. Amazing.